When you’re influenced by movies like The Parent Trap and the Disney Channel’s Bug Juice, summer camp seems like a no brainer! For Mary and Sienna, the attraction of sleep away camp centered around making new friends and having lots of fun. Some friendships last decades while others end the moment you get picked up on the last day of summer camp. Mary and Sienna discuss the quality and types of friendships they made at camp and dish some old gossip along the way. Is it easier to make friends at camp? Everyone is in the same boat, so it should be easier to make friends at camp… Right? Even though summer camp is one of those places where friendship is the main goal, sometimes it’s not always that easy to find those connections. Mary and Sienna take a closer look, sharing research and articles that offer some additional insight into what makes summer camp such a unique experience. The Impact of Camp Experiences on Social Skills and Happiness by Audrey Monke. 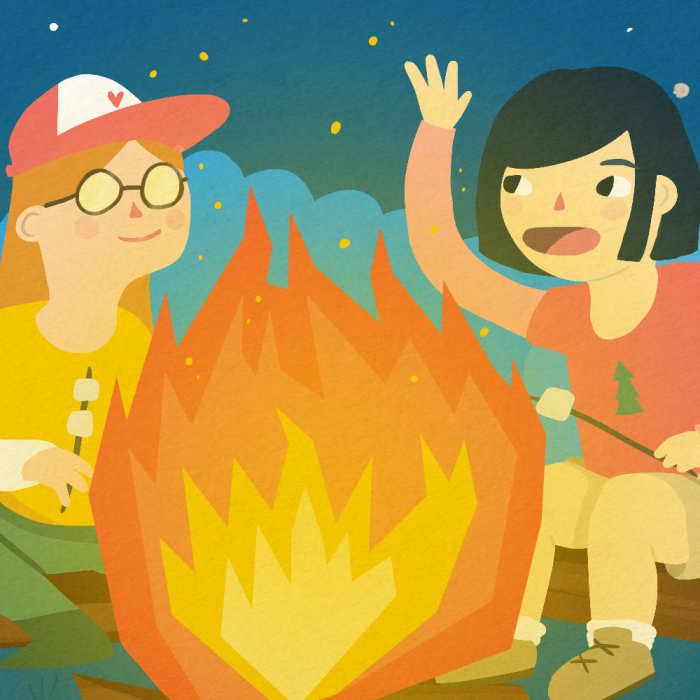 Camp Friendships: How lifelong bonds are forged in the summer by Jess Michaels. Why are friends from summer camp different? Trust falls, relay races and many more bonding opportunities are part of the fabric that makes up the summer camp experience, but is that the only thing that makes camp different? Camp allows you to reinvent yourself and become a different person over the summer, and sometimes it’s the much needed break from everyday life that allows you to form friendships.